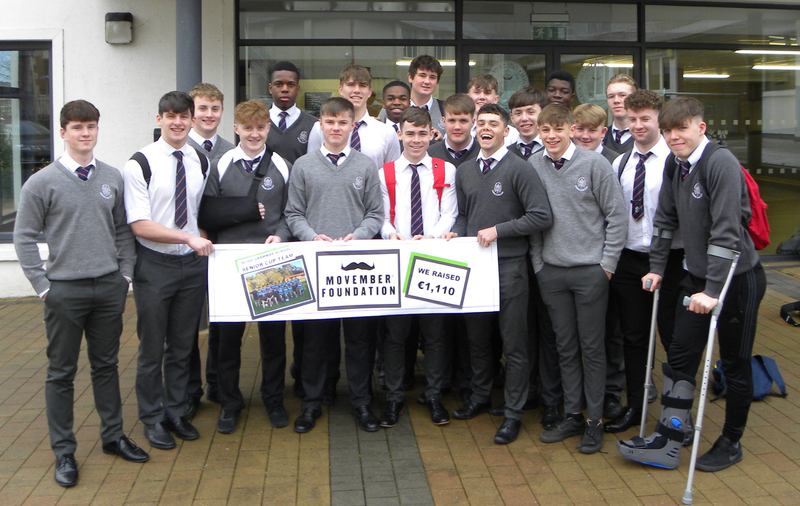 Last month Sligo Grammar School’s Senior Cup Rugby Team did “Movember”. The squad wanted to do something to raise funds for charity and decided to give Movember a go! After the month the team had raised a fantastic €1, 110. The Movember Foundation aims to change the face of men’s health world-wide, especially in the areas of prostate and testicular cancer, and, crucially for young Irishmen, in mental health and suicide prevention. It was this that attracted the rugby team to the charity , and for the month of November they all worked hard on developing a lush beard or moustache! Some, of course, were more successful than others! Best beard award had to go to Brian West, Captain of the team with Matthew Early a close second! On the moustache front, the prize had to go to Lucas Codyre and kudos to Taylor Anderson for his ‘tache! As to the rest of the squad…full marks for effort, and there’s always next year! Thanks to all the people who donated to the cause and supported the team’s project.